Cricket is considered to be the most popular sport in the world after football in the whole world. In this game, wealth and harmony both come in abundance. This is the reason why every young man of India wants to make a career in the world of cricket. 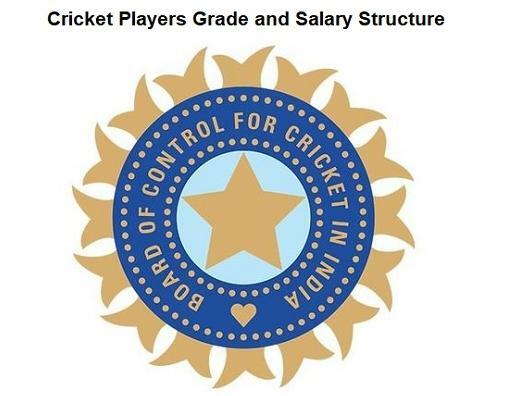 The Board of Control for Cricket in India (BCCI) gives the players money on the basis of their performance. This is done so that the players continue to perform well to get good salaries and the Indian team touches the new dimensions of success. To run the administration of the Board of Control of Cricket Board, the Administrators' Committee, constituted by the Supreme Court, has announced a contract for male and female senior cricketers for the period ending from October 2017 to September 2018. More recently, the Board of Control for Cricket in India (BCCI) has revised the amount to be given to its players in the contract. BCCI keeps the contracted players in four categories, A+, A, B, and C. Now the A grade player gets Rs 7 crore each year, A grade player will get Rs 5 crore and B grade will have Rs 3 crore in the entire year. And C grade players will be given Rs 1 crore every year. I. A+ player who falls in A grade gets an annual income of 7 crore rupees. II. A grade player gets an annual income of 5 crore rupees. III. Players with a grade B get Rs 3 crore per annum. IV. C-grade players get the annual income of Rs. 1 crore.